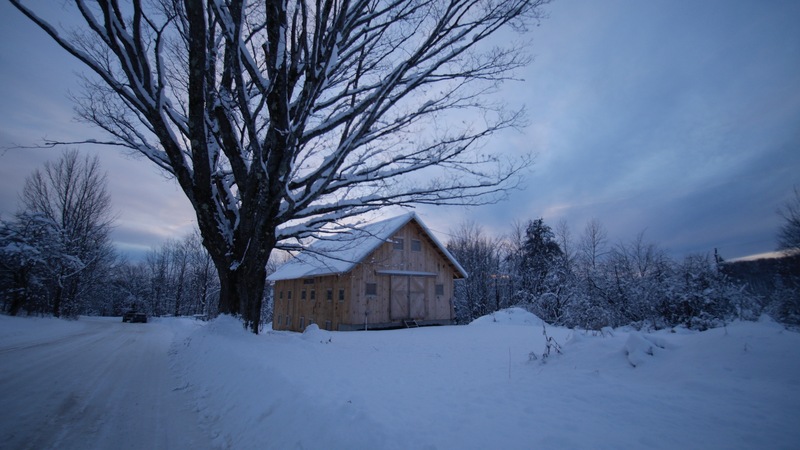 I raised my own shop in the fall and winter of 2013, with a little help from my friends! 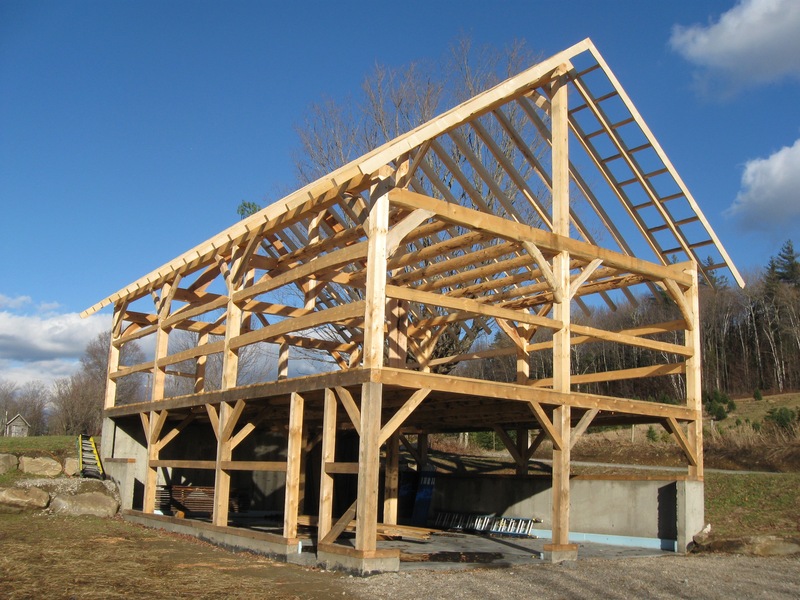 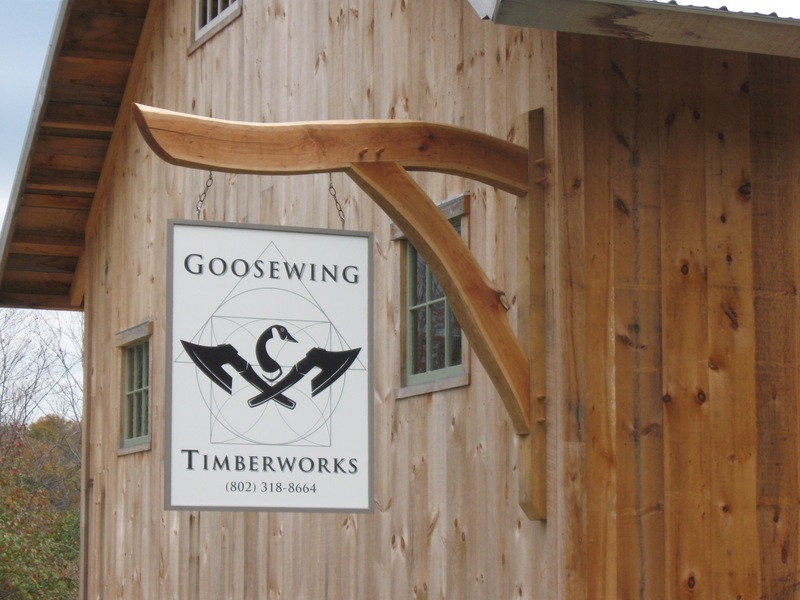 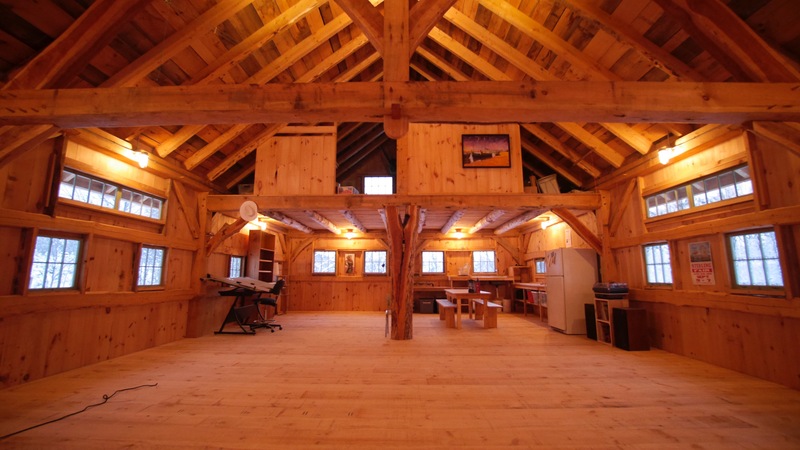 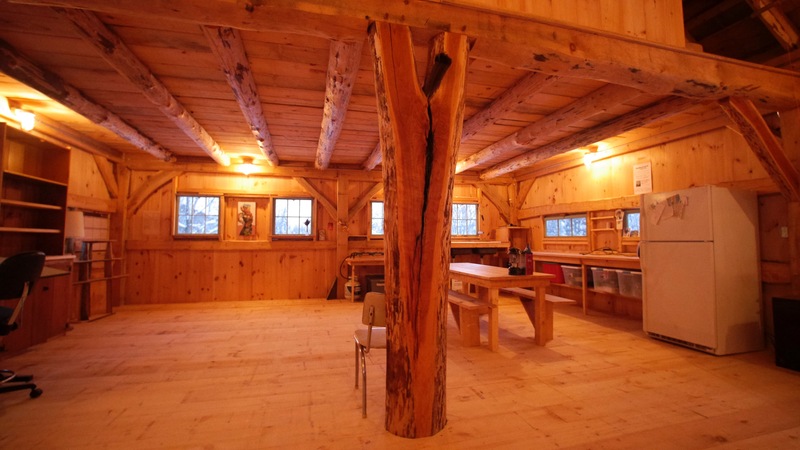 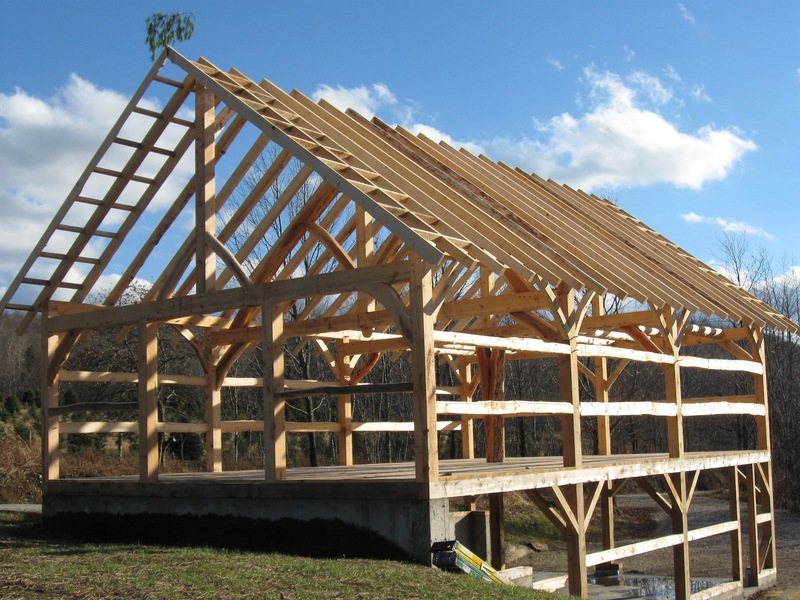 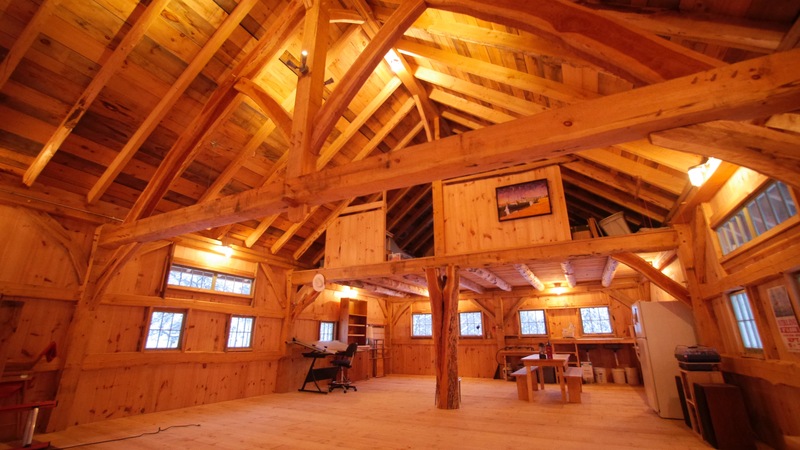 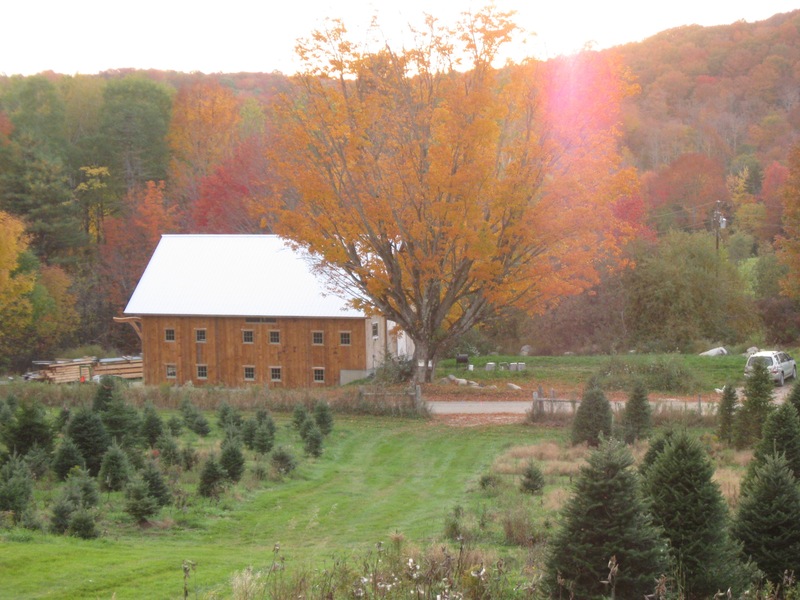 This 26×42 yankee barn is the base of operations for Goosewing Timberworks, LLC. 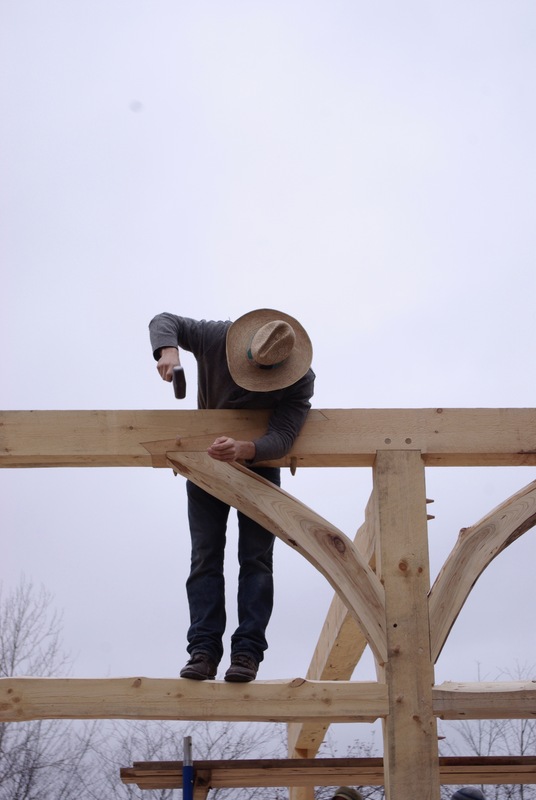 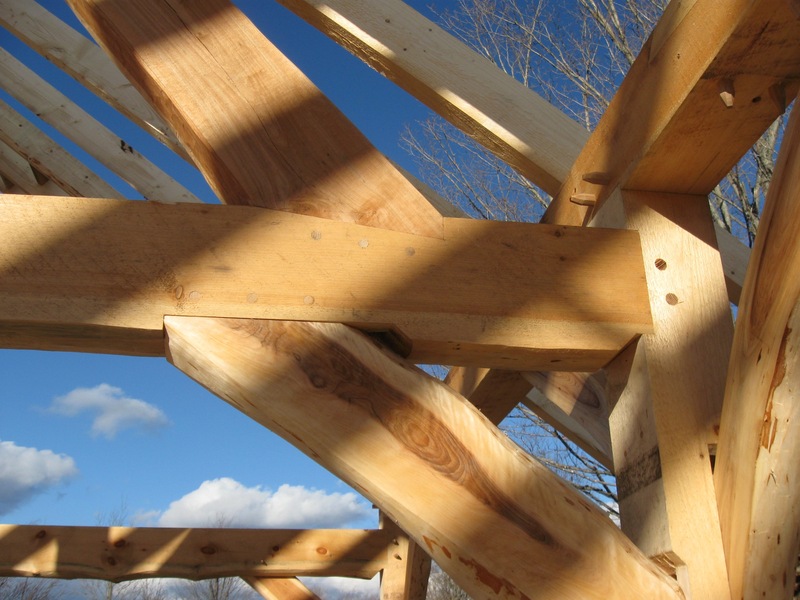 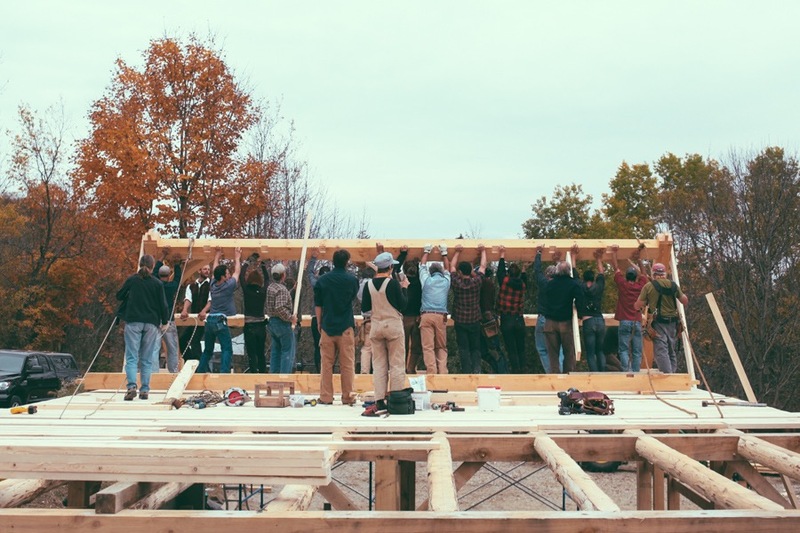 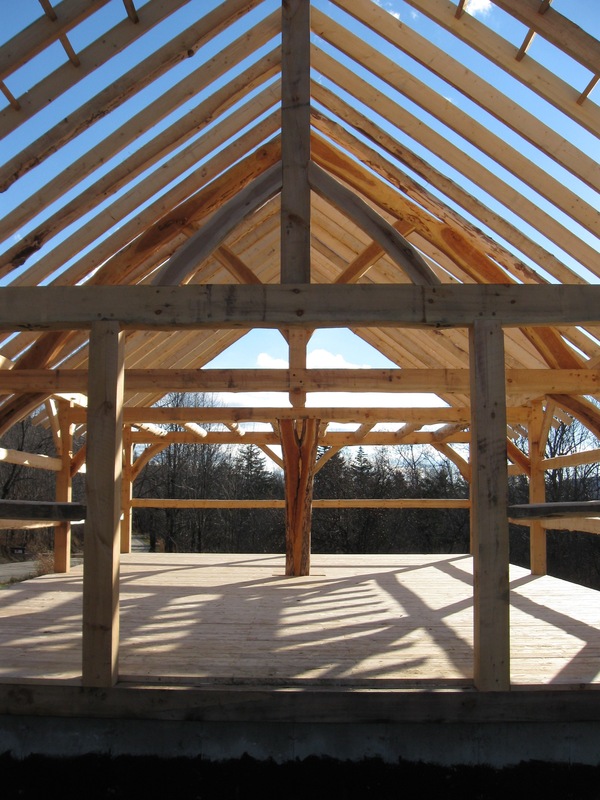 It features a lot of natural-edge framing members of mixed hardwood species, including a kingpost truss with arched upper chords of bookmatched black cherry.